‘The Old Woman’ is a short film by the artist Milla Koivisto. Presented with an accompanying book, it is part of an enchanting series entitled Kaiku, inspired by the landscape and lore of Bengtskär, an island in Finland. The following extract is taken from the book, which explores the story of a reclusive shaman, a flute playing girl called Aino and her echo. The work is the result of Milla's long-running fascination with the traditional narrative, folklore and natural environment of the Finnish archipelago. In her endless search for the endpoint her feet had taken her back to the shore. The barrenness of the landscape unlocked the ascetics of her mind. There were no dark corners in her core. Her comfort was found in the silence of the landscape, her assurance in the frames made of granite rock. The old woman looked out to the sea. She saw the waves which rolled with a determined certainty towards the shore. They dictated the rhythm that crept deep inside her body. The sea was the isolator and the solder. With one whisk of her tail she could destroy the most audacious of spirits and test their faith in sanity. With salt she corroded the skin and whitened the hair. With time she softened the hardest of rocks. She could give and she would take according to her own plan, yet she had no hatred in her, it was simply the manifestations of her ample vigour. The old woman bent down to touch the water. Her long grey hair blew in the air escaping from underneath her red scarf. From the corner of her eye she could see something white. Something was floating amongst the reeds. Hesitantly Aino bundled up her skirt and waded in. In the bed of reeds lay a swan, floating dead in the water, its head arched gracefully forwards. Even in death it had a magical look, its white colour contrasted beautifully with the dark water. Aino looked up to the sky, soon snow would hide the swan. The sea would freeze and trap it in its firm embrace. Aino looked at the flippers, they rested underwater in the darkness. Black and veined, they were like an imperfect feature that had to be hidden, only the slender beauty was paraded on the surface. Milla visited Bengtskär several times in order to produce her work. 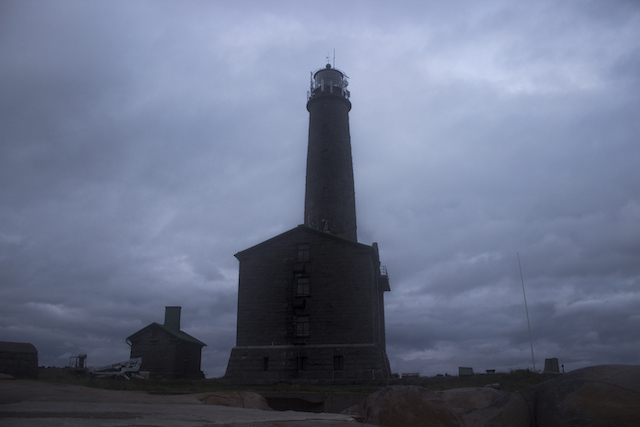 Comprising just 0.77 square miles of granite rock, the island is home to the tallest lighthouse in Scandinavia, rising 52 metres above sea level. Here she tells us a little more about her experience. TIR: What is it about the story and the place that you found most interesting? Milla: The key message in the Kaiku book and project is the interconnection between the natural world and humans. The book is divided into four parts, each consisting of a season. When you have lived in an environment where the temperature changes throughout the year from -30 to +30 degrees celsius, you really understand that it's you who has to adapt according to the changing seasons - not the other way around. I feel this is something that the modern human is forgetting, with such a large percentage of the world population now living in urban environments. TIR: What was it like being on Bengtskär? Was it a big challenge? Milla: I spent four months on the island of Bengtskär working on 'The Old Woman', the first film from the Kaiku Series. I really enjoyed my time there. It is not very far from the island I was brought up on. I felt very much at home and in my element on this small rocky island in the middle of the sea. TIR: What is your lasting impression of the island? Milla: The simplicity; to live a fulfilling, happy life you need very few material things. While living and working there the main thing that I took away was how little is needed for happiness. Every morning I woke up to hear the waves hitting the granite of the small island. As I opened the door of my sleeping quarters the sea was dominating the view everywhere. Throughout the summer the weather kept changing from blistering hot sunny days to early autumn storms. The island kept me surprised and inspired everyday. 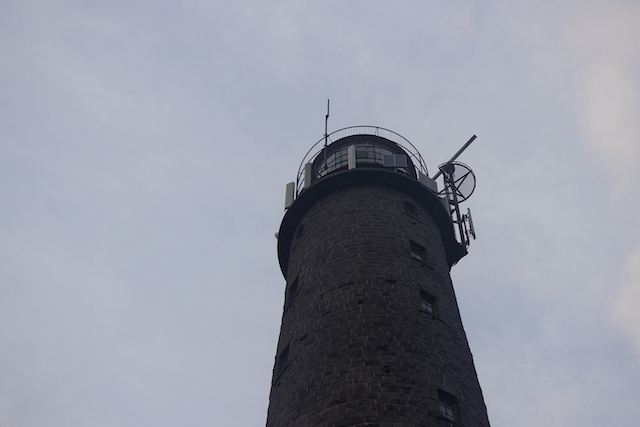 To read more about Milla's experiences on Bengtskär, read her lighthouse diaries: part one and part two. Visit Milla's website to learn more about the Kaiku project. Milla Koivisto is a writer, filmmaker, photographer, sound artist and author of Kaiku. Her focus is on the natural world and our connections and relationship with it. Milla graduated from the Arts University of Bournemouth, UK with a degree in Visual Communication. She also studied classical flute and music theory in Finland. Her interest lies in environmental issues, with a focus on Nordic nature.